Paddlefish snaggers measuring their catch to see if it is of legal size on the Osage River near Warsaw. The historic range of the paddlefish, or spoonbill includes the Mississippi, Missouri and Osage Rivers. Adult specimens can reach up to seven feet long and weigh over 100 pounds. The spoonbill moniker comes from the appearance of the paddlefish's nose, which features a large spoon-shaped bill. Paddlefish feed on river bottoms by swimming with their jaws wide-open. 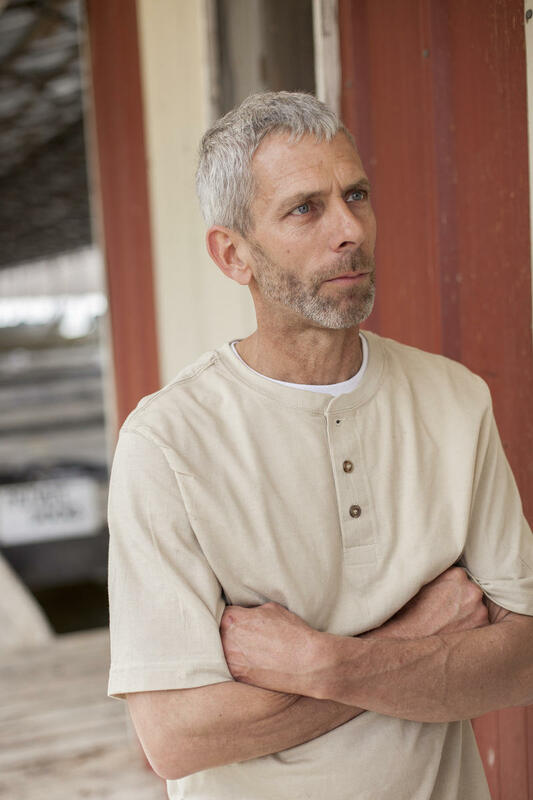 They consume a wide range of smaller fish and aquatic organisms. The fish historically spawned in the Osage River each spring when water temperatures reach 50 degrees Fahrenheit. 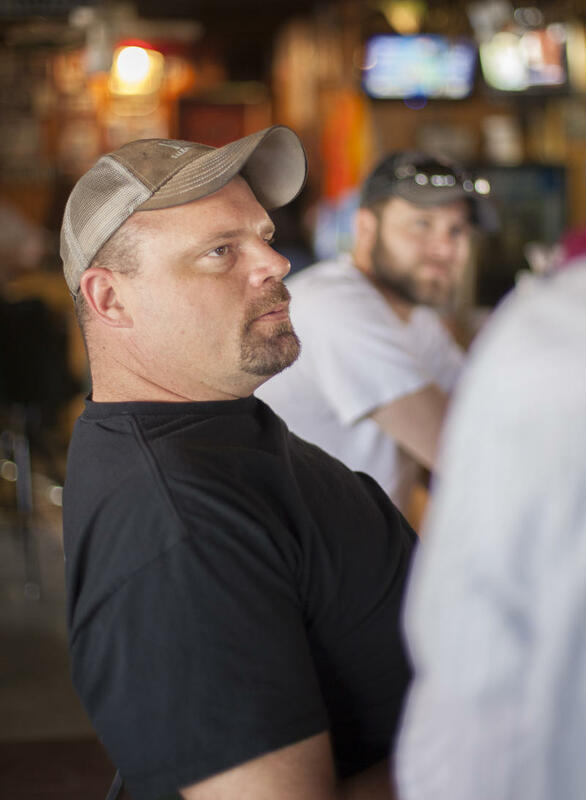 Today they still wait until the waters have warmed to move, says David Harms, a Conservation Agent based in the Benton County office of the Missouri Department of Conservation. Typically, the spoonbill start making a run in early spring, March and April. If we have warm water flow, temperature reaching mid-50s spoonbill start making a run up towards the dam. Before that they'll hold out in deep holes farther down the lake... Here at Warsaw, when we don't have water flow, the fish are further downstream. Usually, the first of the season they'll catch a few local fish out then snagging's not very good until maybe the first or second week of April when the water warms up. We need that water flow and warm temperatures. 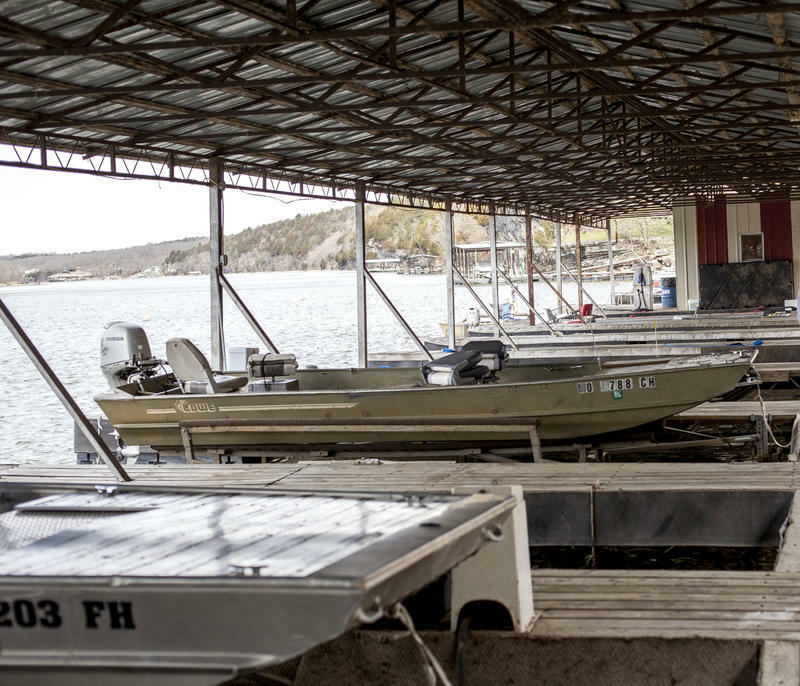 When the fish are on the move, a growing number of sportsman find their way to Truman Lake. Traditionalists use a treble hook to catch a paddlefish, with some anglers using up to three on a line. Paddlefish snagging is a vigorous sport requiring the fisherman to draw the line up towards the boat, and back repeatedly. 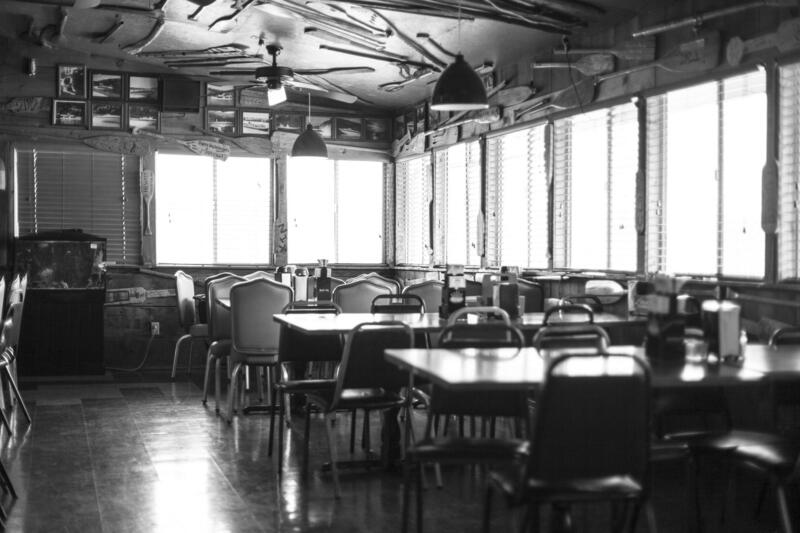 On a recent Thursday morning, I met Josh Decker at The Old Oarhouse Inn near Warsaw, Missouri. The Inn is a popular marina with spoonbill snaggers. Decker came to Benton County from St. James, Missouri to snag paddlefish with his friend Clay McKinnon. Decker explained to me why he enjoys the unique practice of paddlefish snagging. It's not your average sitting on the bank with a pole and watching the sun go down. It's an action sport. That's more of why it draws a bigger crowd, because it does hold your interest and your physically doing something to keep you busy. At any given time you have a chance to hook a 70- 80-pound fish with a tail going in the opposite direction. Until you experience [it] it's just a challenge like you've never felt. Most anglers follow the State of Missouri's regulations regarding paddlefish limits (you can only possess two at a time) and season (each year from March 15-April 31), there are some who skirt the rules. Paddlefish are increasingly in demand, as their eggs are considered by caviar connoisseurs to be suitable replacement for sturgeon caviar. 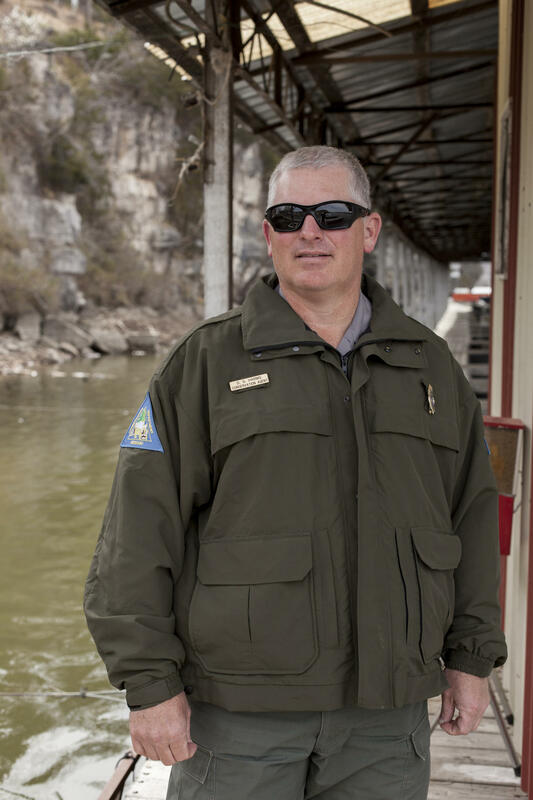 While conservation agents like David Harms work to uphold Missouri's paddlefish regulations, his fisheries colleagues are raising paddlefish to sustain their population within a now-dammed historic range. 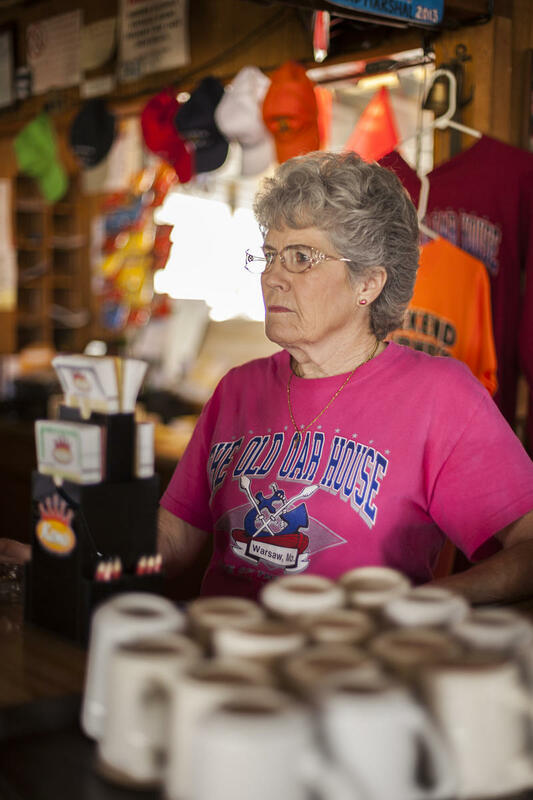 One of Harm's colleagues who oversees much of the paddlefish reintroduction in Missouri is Trish Yasgur. 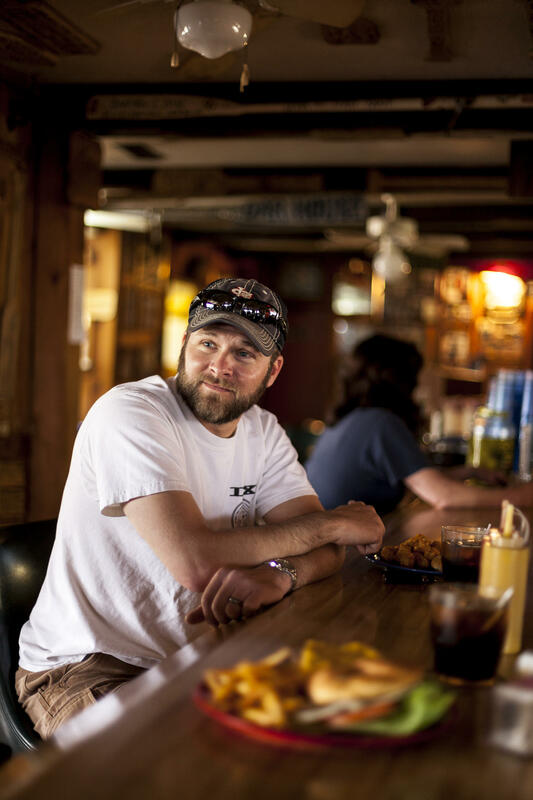 Yasgue is a Missouri Department of Conservation Fisheries Management Biologist. She explained that paddlefish thrived after Bagnell Dam was built in 1931. The fish then could still spawn upstream on the Osage River yet encounter few predators. When construction of Truman Dam near Warsaw began in 1964, the paddlefish's native Osage River run was blocked. We raise the paddlefish up at Blind Pony Hatchery in Sweet Springs. In the spring of the year we take the brood-stock from Tablerock as well as sometimes from Lake Ozark and Truman. We take a dozen or more males and females up to the hatchery and that's where they are spawned. We take the eggs from the female and the sperm from the male. We stir them together with a turkey feather of all things. The fish go into egg jars where they are hatched.Then they go out to the hatchery ponds. We feed them throughout the summer and in October we release the fingerlings, which are about 14-18 inches long into the reservoirs. We feel we have good survival because they are so large when we release them. 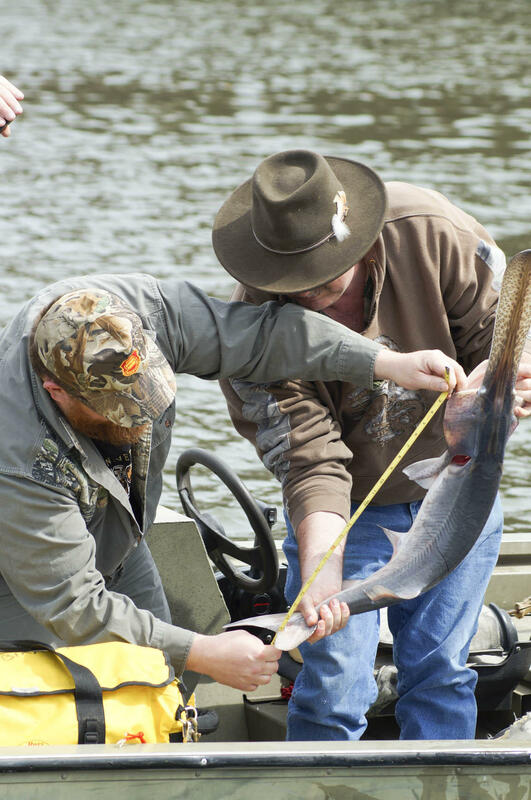 Paddlefish season in Missouri lasts through the end of the month. 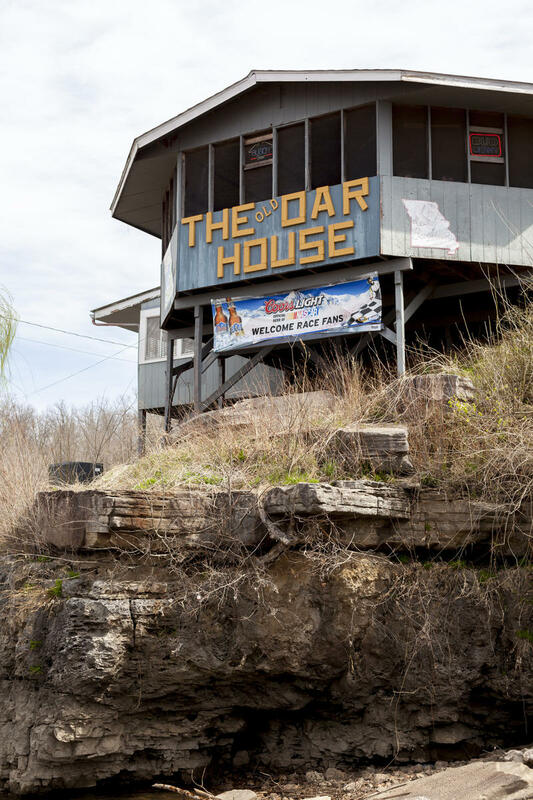 With rain and warmer weather the marinas along Truman Lake such as the Old Oarhouse Inn expect to see growing numbers of anglers bobbing in their boats hard at work to snag a fish that lived in the Osage River at a time when dinosaurs roamed the earth. Listen to Thinking Out Loud online and each Tuesday at 6:30 p.m. on KBIA.